...an essential requirement for anyone who needs to keep up to date with new developments of music concepts throughout the world. 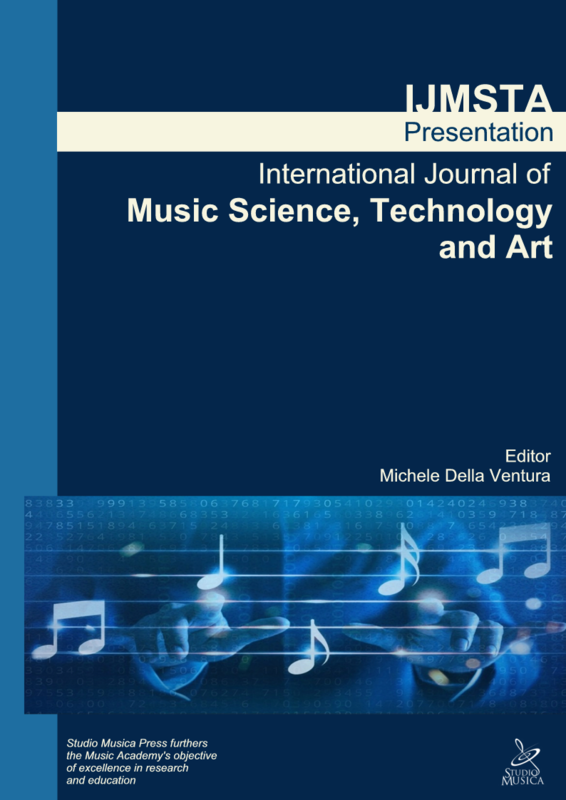 International Journal of Music Science, Technology and Art (IJMSTA) is an international and double blind peer-reviewed journal. IJMSTA provides a platform for the publication of the most advanced research in the Music field in the areas of acoustics, artificial intelligence, mathematical analysis, learning and teaching, history and ethnomusicology. The journal welcomes original empirical investigations. The papers may represent a variety of theoretical perspectives and different methodological approaches. The major criteria in the review and the selection process concern the significance of the contribution to the area of the journal. The manuscripts should not be published and should not be in the process of publication in elsewhere. The submitted manuscripts for IJMSTA would be subjected to double blind-review process. In addition, when you visit our Site, we may collect certain information by automated means. The information we collect in this manner includes IP address, browser characteristics, device characteristics, operating system, language preferences, referring URLs, information on actions taken on our site, and dates and times of website visits. - to manage the Site. - provide specific notice at the time of collection. We share personal information with third parties who perform services on our behalf. We may retain third party service providers to manage our customer databases or distribute e-mail offerings. Please be aware that some or all of the information you provide (including personal information) in connection with these activities may be made publicly available. - when we believe disclosure is necessary or appropriate to prevent physical harm or financial loss or in connection with an investigation of suspected or actual illegal activity. Our Site may contain links to other websites for your convenience and information. These websites may be operated by companies not affiliated with us. Linked websites may have their own privacy policies or notices, which we strongly suggest you review if you visit any linked websites. We are not responsible for the content of any websites that are not affiliated with us, any use of those websites, or the privacy practices of those websites.